Medellin, the city of eternal spring, got its act together. Medellin, once known as the city of Pablo Escobar, a city of violence, is now becoming an example of reinvention. 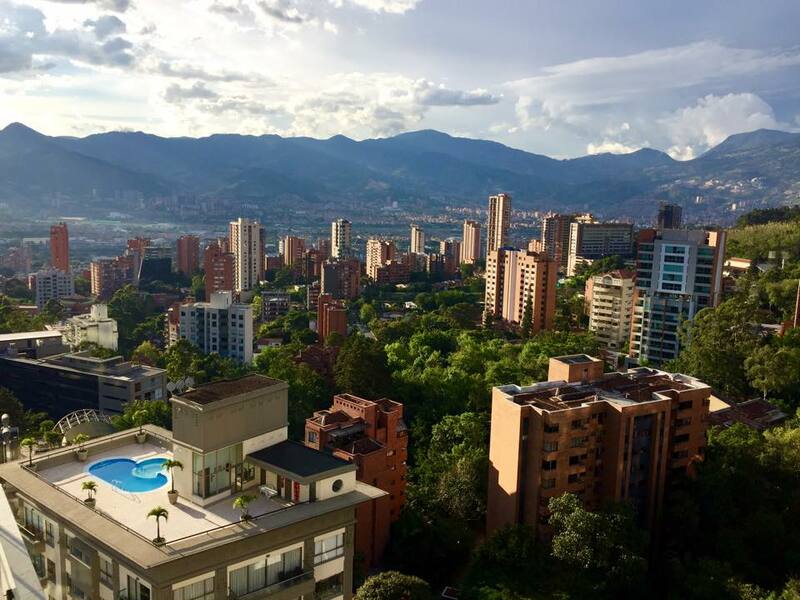 Medellin, situated in a narrow valley, is becoming a fashionable city. It’s not only its year-round summery climate, trendy bars and restaurants, growing art performances, parks and beautiful nature surrounding the city. It’s also the growing entrepreneurial energy which gives the city a very positive and youthful vibe. It’s easy to connect with other startup owners and digital nomads thanks to all the coffee shops and meetups organized throughout the city. Walk into any of the coffee shops in Parque Lleras between 10 and 5 and it will be hard to spot someone without a laptop. I only spent 2 months in Medellin, but could have easily added a few more months. The friendly people, high end quality apartments, nice bars and restaurants, shopping, music (think Salsa, Reggaeton, Cumbia), great weather and green feel in the city make it a great place to live. Airbnb and the Medellin Rooms & Apartment group on Facebook are a good start when looking for an apartment. I would definitely recommend El Poblado, but if you are the more budget traveler, take a look at Laureles/Estadio as well. We stayed in a marvelous apartment in a brand new Energy Living Building. The Charlee Hotel is a nice boutique hotel, directly on Parque Lleras. Make sure to check out the rooftop bar, even when not staying there. It quickly became my favorite place to enjoy a drink on nights out. Medellin offers a large amount of bars and restaurants. From typical Paisa dishes to fusion. El Cielo -Molecular gastronomy. 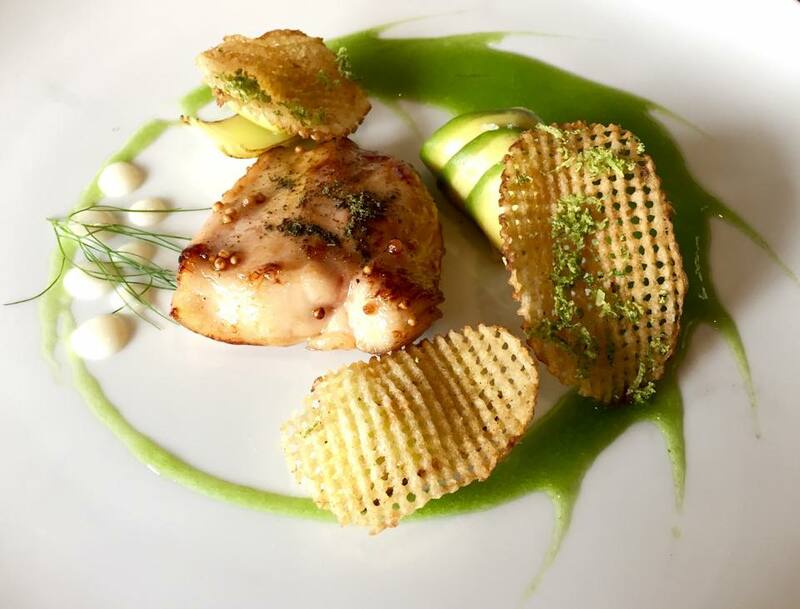 A great restaurant with a very modern approach to traditional Colombian dishes and ingredients. Highly recommended. Carmen -International cuisine with modern twist, Carmen has two floors of dining, both with lovely outdoor seating. Marietta (Parque Lleras) -A small vegetarian restaurant with a great, personal service and nice lunch menu for only COP10.000 ($3.25 / 2,88 euro). 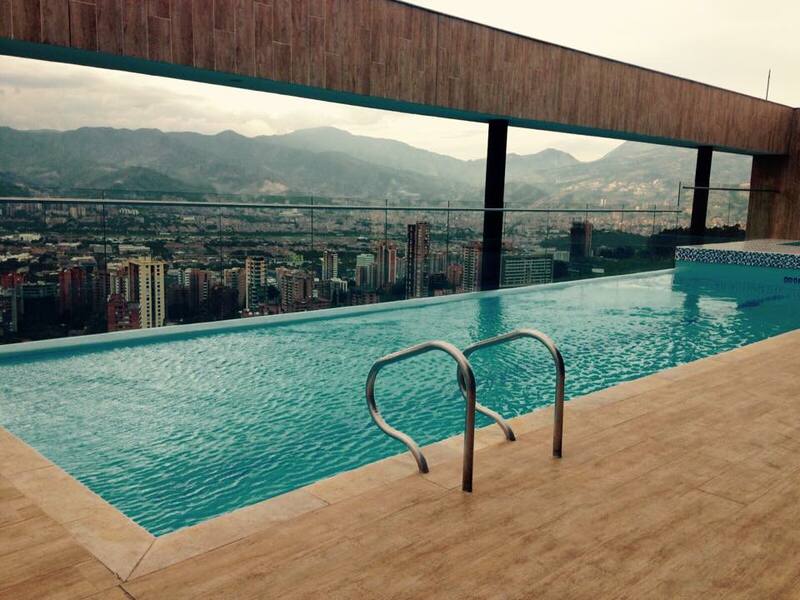 I decided to work from home while I was in Medellin, so cannot comment much on co-working spaces in Medellin. One of places I frequently visited was Café Velvet. It’s a cosy place offering Colombian coffee, juices, sandwiches and Belgian chocolate based cakes/treats. About 70% of the customers have a laptop in front of them. Internet works fine, and they are not trying to sell you a coffee every 10 minutes. There are plenty of options to choose from. But after some reading, decided to take a few weeks of private classes for 480000COP / $145 / 132€ (prices are for 8 private classes for couple dancing) at Santo Baile.
! Santo Baile organizes a party every month in a nearby hotel, allowing you to practice your moves while meeting other people. Make sure to ask for it when you decide to take some classes. Medellin has a lot of modern shopping centers. Up in the hills, among the high rises and the healthy streets, sits Medellín’s most beautiful shopping mall, El Tesoro. Except for shops, you’ll find lots of bars & restaurants here, in a nice and green area (for a shopping mall) and great views over the city. The largest shopping center in Medellin is Centro Comercial Santa Fé. It’s a big mall, with the major brands being present. Across the street you’ll find the oldest mall located in El Poblado, Centro Commercial Oviedo. There are many beautiful villages to be found in the mountains and countryside. But if there is one to win a price, Jardin would be my first choice. 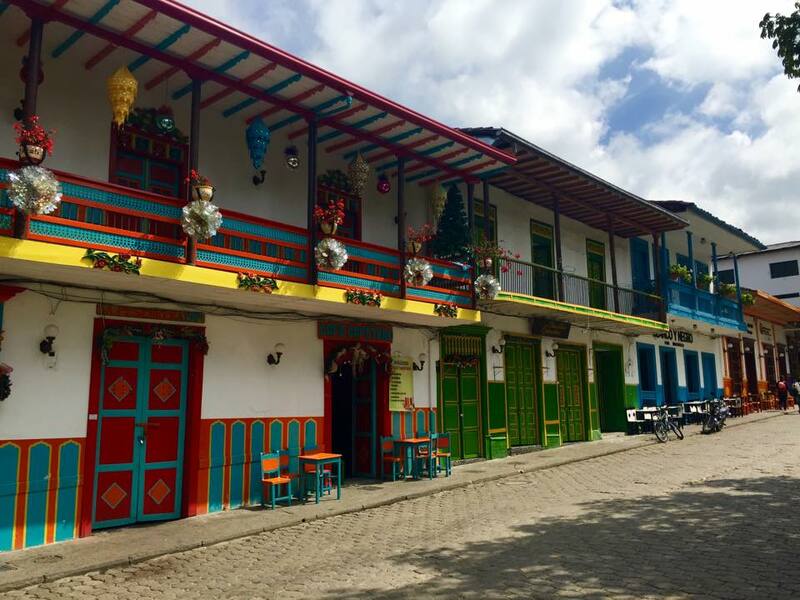 It’s a very relaxed, small village about 3.5-4 hours from Medellin. The village itself is small but beautiful, with colorful houses and a relaxed vibe. If you are ready for some action, the area provides plentiful things to do, from coffee farms tours to hiking or horseback riding in a beautiful tropical setting. You can easily get to Jardin by bus or rental car and the road alone is worth the drive. If you go by bus, take the direct bus from Medellin to Jardin at the Terminal del Sur bus station in Medellin (company: Transporte Suroeste Antioqueño Andes-Jardín). There are a few hotels and even AIRBNB’s available. We decided to stay in a house set on the grounds of a working coffee farm, in one of the best coffee areas in the world. The place is a little outside Jardin, but worth the trip. 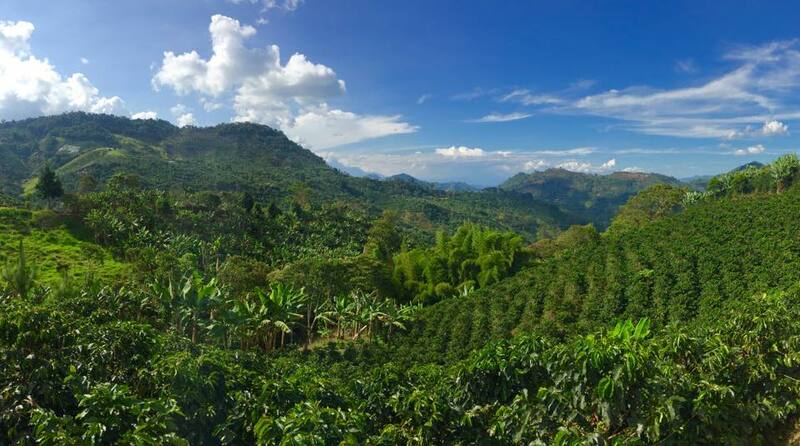 The views from the balcony over the green valley of coffee and banana trees was simply amazing.